The Nordic countries could meet their energy needs simply by expanding renewable energy, according to a study from Uppsala University. But there are several challenges along the way, according to Mikael Bergkvist, researcher in electricity. "In the study, we were able to show that it's not obviously impossible even if it would be difficult within the near future." "In Sweden, we are fortunate since we have a lot of hydropower that can be used to quickly regulate variation but, thanks to large hydropower reservoirs, can also be stored at times when we have high wind power production and low demand for electricity. But it requires a lot of planning. In today's system, we have good possibilities of balancing daily and seasonal variations, but it's harder for example in the event of a few weeks of windless weather," says Bergkvist. Solar energy is more uncommon at our latitudes, but a lot of research and development is under way. One example is the residential building Frodeparken in Uppsala, where the entire glass façade produces electricity. The building is covered by thin-film solar cells that have been developed from research at Uppsala University. An international EU project on solar cell technology that can be integrated into buildings is led from Uppsala. Marika Edoff, Professor of Solid State Electronics, is the coordinator of the project. The focus is thin-film solar cells and how they can be made more efficient and be integrated into buildings. "Building integration offers unique opportunities for thin-film solar cells, mainly to look aesthetically different. With thin films, it's also possible to make solar cells flexible and lightweight," says Edoff. The dominant technology in the market is silicon solar cells. Thin-film solar cells are based on a different technology and consist of microscopically thin films that are mounted on glass, for example. The modules can be made into entirely black building blocks, like the façade at Frodeparken. The challenge for the researchers is to make the material thinner without reducing the effectiveness or efficiency, which is currently 21 per cent. To succeed in this, various optical techniques are used, such as building mirrors into the thin layers so that twice as much light is absorbed. "It may seem ridiculous to make the layers even thinner since their total thickness is around three micrometres, which is what one gets by cutting a hair into 20 slices. But we want to push this further, reduce the material use and make the light-absorbing layers half a micrometre thick instead of two," says Edoff. Internationally, solar energy has made a major breakthrough in recent years and even if it is slow in Sweden, the market is growing, with various support schemes for installing solar cells in buildings. "Through the EU project, we can gather skills and expertise and hope to also increase the visibility of solar cells and lobby to develop long-term solutions in Sweden," says Edoff. She was personally involved in founding the solar cell company Solibro and has worked for many years both as a researcher and in the company. When she began with thin-film solar cells in 1990, the solar cells had an efficiency of 10 per cent. Now, they have reached 21 per cent, not far from the world record of 22.6 per cent. She attributes the success to the close cooperation between business and academia. "Various EU projects have been crucial to the technology coming so far, by benefiting the cooperation between companies and research groups. It's been super important." Another EU project, the New Wind Atlas (NEWA), concerns wind power and has mapped wind resources throughout Europe. Stefan Ivanell is the project manager for the Swedish part of the project. He leads the research at the Wind Power Section on Campus Gotland, which belongs to the Department of Earth Sciences at Uppsala University. While their research colleagues in Uppsala make large-scale weather models, the researchers in Visby work with models that show the detailed flow in a wind farm. If these two kinds of models are linked together, larger-scale calculations can be made to see where it is best to build a wind farm. "When we study the interaction between wind farms, the calculations take several days or weeks with a super computer, so they are pretty heavy calculations. This is why we need to supplement them with rougher calculation methods," says Ivanell. Within the project, they study for example the wind flow in forests and the possibilities of expanding wind power there. The researchers are interested in the placement of wind power plants and how the turbines – as well as whole wind farms – interact with each other. To understand this, they do simulations that show how the placement affects what kind of flow the turbine is located in and how great the turbulence is. "We develop models for how to extract the energy in a smarter way while reducing the loads on the turbines so that they last longer," says Ivanell. Wind power is the third largest form of electricity production in Sweden, but its expansion has come to a standstill. "Despite low energy prices in Sweden, wind power is currently attracting record investments. For anyone thinking of new energy production facilities, wind power is very competitive," says Ivanell, who is also the director of STandUP for Wind, a national wind energy centre in which several Swedish universities participate. 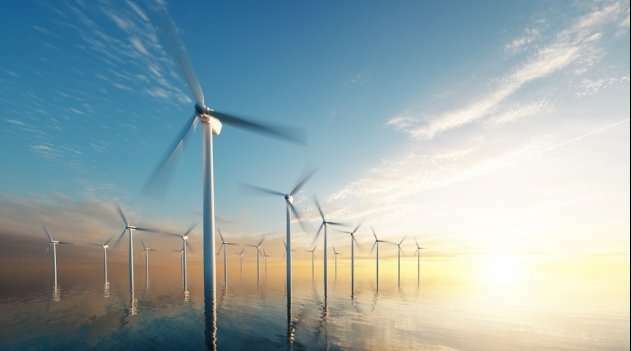 A research project recently began at Uppsala University in which the researchers will work out how Gotland could become self-sufficient in renewable energy, such as solar energy, wind power and biofuel. Some 20 researchers are involved in the project at the departments of Earth Sciences, Engineering Sciences and Chemistry. An important issue is acceptance among the local population, because a society with expanded wind, hydro and solar power would look very different. "Today, 50 per cent of the energy on Gotland comes from wind power. To become entirely self-sufficient, this must be scaled up on land, at sea and in solar cell parks," says Ivanell. "Right now, we are trying to model conceivable scenarios for the future. If we build in certain ways, how will it affect acceptance? What advantages and disadvantages are there with different solutions? Overhead lines and power cables would be needed for distribution, but how would they be perceived by the public?" Studying Gotland as a renewable system is suitable since it is well defined, according to Ivanell. In cooperation with the region, various possibilities are now being investigated, such as transport using electric vehicles and how energy can be stored in batteries or in gas form. "It is a matter of what renewable resources there are, but it is also about balancing this with a limited cable connection with the mainland. We need a system that can store energy and in which what we put into the system always matches consumption." To go back to the study of the entire Nordic region's energy supply, it shows that hydropower plays a key role. By storing hydropower, it is possible to obtain an even supply of electricity despite variations in production. "Some people fear that renewable energy will give us an unstable power grid and that we won't be able to handle the situation, but in Sweden we can. Our hydropower is an enormous resource for storing energy, compared with battery storage, which doesn't have anything like the same capacity and is primarily a local solution," says Mikael Bergkvist. Another problem to solve is how to deliver renewable energy to the entire Nordic region. With today's distribution system, it would be difficult to deliver energy everywhere with just renewable electricity. In Sweden, for example, we have a lot of production in the north, but most consumption in the south. "Our calculations have not taken into account the limitations in the power grid. There, it is just a question of expansion, but it will of course cost a lot and the permit process for a new line can take decades." In their study, the researchers also note that it is important to find the right mix of renewable sources. "It gets better if we optimise the mix of wave power, wind power and solar energy, but this is difficult to control since we live in a democracy with free enterprise," Bergkvist observes. The question is, if Sweden already makes between 80-90% of its electricity demand out of hydro and nuclear, why not just push the rest of the way with that? Why spend all the money and effort on solving a problem they don't need to solve? "Despite low energy prices in Sweden, wind power is currently attracting record investments. Thanks to 15-20€/MWh premiums over the market price through green certificates (subsidies).